Taeyang, vocalist of K-pop group Big Bang, said Sunday that his latest track “Eyes, Nose, Lips” is based on his own personal story. A short clip showing behind-the-scenes footage of the 26-year-old singer’s music video shoot for the R&B song “Eyes, Nose, Lips” was posted on the official blog of YG Entertainment, his management agency. “The title song tells of my sincere story. It is about missing a past love after a break-up. I believe those who listen to the song can see how I truly feel,” the singer said. “Eyes, Nose, lips,” written by Taeyang along with three others, reflects on his regrets of the way he treated his past love while recalling her features. He also added that he made the music video simple to focus on delivering his emotions. 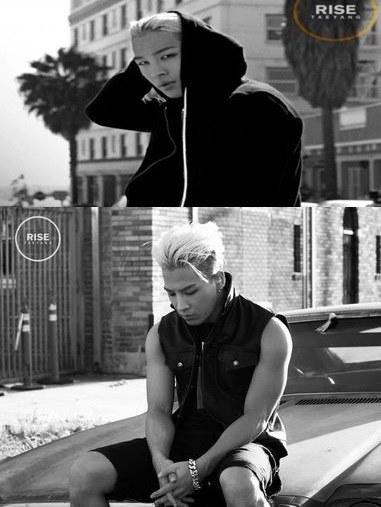 Taeyang’s latest song “Eyes, Nose, Lips” dominated local charts right after its release on June 2. The music video also passed 4 million views as of June 8. The hip-hop artist is to make a comeback Sunday on stage on SBS-TV music show “Inkigayo,” where fellow Big Bang member G-Dragon will make an appearance to support Taeyang.